A graduate from ESME Sudria class of 1974, he began his career in the telecommunications industry. From 1976 to 1980, he held the position of Chief Inspector at the Directorate for Higher Education in Telecommunications (DEST). 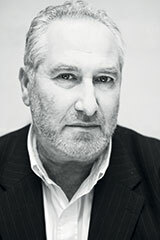 In 1980 he founded the Institut Supérieur Européen de Gestion (ISEG Paris), the first of the schools that would eventually form IONIS Education Group in 2002. Holder of an agrégation teaching certification in Classics, he first worked as a journalist then a teacher in secondary education, before joining the Université Pierre et Marie Curie. He also teaches at the Group’s different schools. Executive Vice-President of IONIS Education Group since 1987, he has actively contributed over the last two decades to its development alongside Marc Sellam. He is the Director of several establishments and entities. He was behind the Technological Campus which brings together schools of engineering and technological expertise, and actively worked on the regionalisation of certain schools from 2007 to 2012. More specifically he played a fundamental role in the creation of Epitech, Sup'Biotech and SUP'Internet. Marc joined the IONIS Group in 2005. He began his career in advertising in 1980 after graduating with a degree in sociology from the Université de Lille and a diploma from Sciences Po Paris. 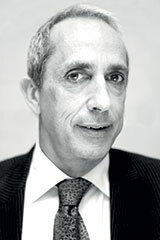 He joined Publicis Groupe in 1990 as Associate Manager of Publicis Conseil. 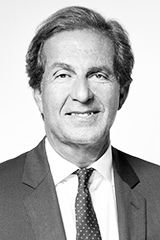 In 1995 he was appointed President of Publicis Etoile, then President of Publicis Dialog and Vice-President of Publicis Groupe in 2002. He also held the position of Vice-President of the AACC (French Association of Advertising Agencies), and Administrator at the IREP (French Institute of Advertising Research & Studies). He is the author of several works, the latest of which, ‘Le Boycott, Histoire, actualité et perspectives’, was published in 2011 by FYP Editions.